There was a time, only a few years ago, when news of a newly built room housing a new DSP-based digital console seemed to have dwindled to once in a blue moon. 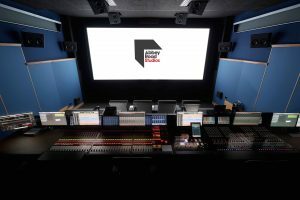 The opening of a flagship feature mix room would commonly, but by no means always, see one of the ‘holy trinity’ – AMS Neve DFC, Euphonix System 5 or a Harrison MPC going in. Between them, the digital console manufacturers were selling a handful of big desks every year. Seeming to validate the perception of a technology in terminal decline, Avid announced System 5’s End of Sale in the spring of 2016, with no DSP-based successor on the horizon. 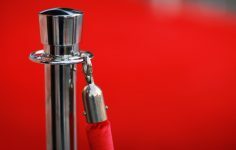 Sony Pictures going in-the-box in 2016; putting multi-operator S6 surfaces into their flagship Cary Grant and Anthony Quinn theatres, seemed significant. Two of the biggest mix stages in the world replacing DSP with a control surface – signposted a tipping point. Yet here we are in 2018 and reports of the death of DSP have proven wholly premature. While it’s no longer possible to buy a brand new System 5 DSP Console from Avid, we at Resurface have seen more than a dozen used examples change hands in the past year alone. If anything, the volume of System 5 install activity is higher now than it was when System 5 was current. AMS Neve, meanwhile, have seen a resurgence in sales of DFC which is nothing short of spectacular. Orders are buoyant for standalone consoles. Customers are also buying core sections to form part of a hybrid setup. Upgrades to DFC3D are a regular occurrence, now that immersive formats are mainstream. 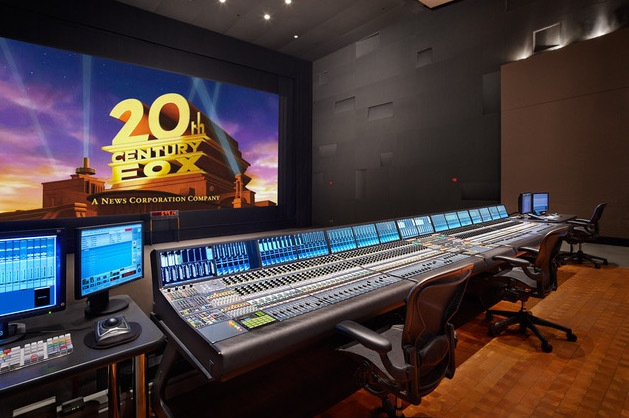 The stages at Fox (Hawks, Wise and Ford Stages), Abbey Road, Halo, Goldcrest, LipSync, Warner Bros, Skywalker Sound – All examples of major feature film mix rooms who are reaffirming their commitment to DSP console technology. Big investments, but investments in a platform they judge to be relevant and required for the long haul. 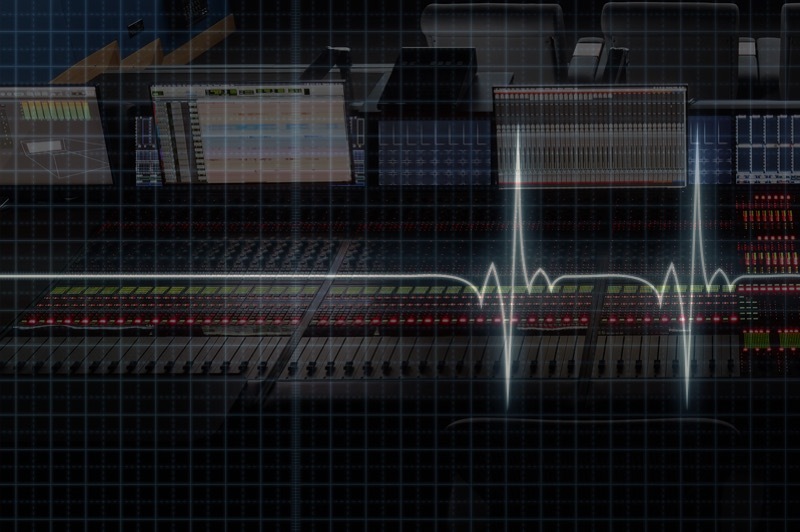 Client demand has had a major part to play in the DSP console renaissance. 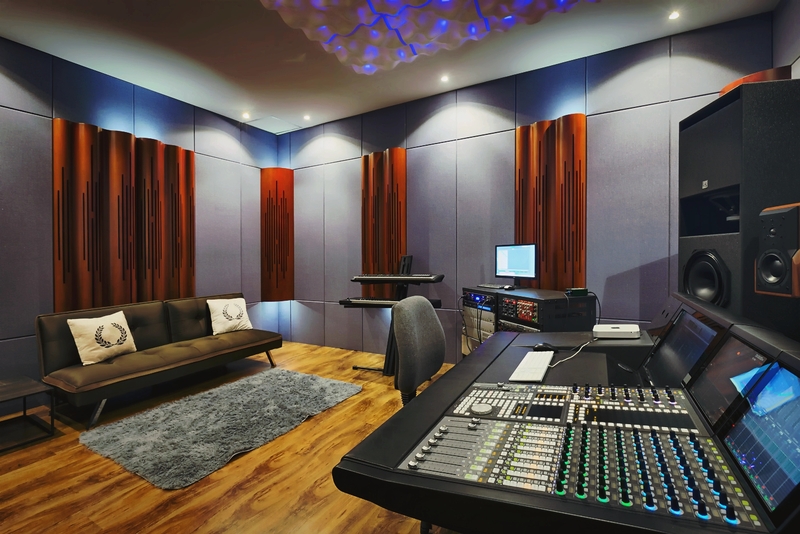 A common theme in many of the conversations we have with high end audio post facilities is the need to accommodate the varied demands of the mix crews for whom the rooms are designed. 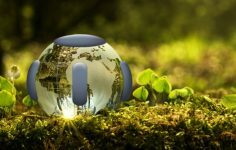 This hybrid approach, or variations of it, has become a norm in feature post. Typically based around a DSP console core, embellished with the inclusion of smaller or modular configurations of Avid S6, in all of the above cases these have been neatly integrated into a single, modular console frame by Frozen Fish Design. The revitalised popularity of the DSP console isn’t solely the preserve of feature film mix stages. Of the consoles recently changing hands on the the Resurface Marketplace, many of the buyers have been music producers. 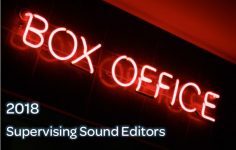 “Having direct access to faders and parameters without the need to stop the audio and add a plugin makes for much faster and more tactile mixing. The EQs and compressors sound smoother and more ‘real’ than most plugins, there’s more headroom, so you can boost and mix any way you want without the sound getting squeezed or clipped. I could mix all day with just the System 5’s EQ and compressors”. Commercial and creative imperatives don’t always run in sync. Quick doesn’t always mean efficient, or effective. 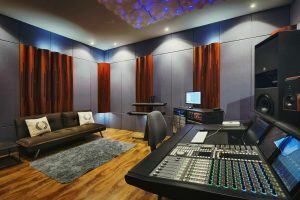 Creative preference seldom sees eye-to-eye with cost effectiveness, but will very often win the argument in the form of studio bookings. The recent resurgence of DSP Console investments, from what seemed a few years ago to be the end of an era, has been driven by strong demand from the high end of music and film. If this marked renaissance is surprising, the rationale behind it isn’t. Ultimately all we’re really seeing is customers investing in the right creative tools for the job, today and into the foreseeable future.